The Freeman Center - Maccabean Online - SOS at CPAC: "Where's Admiral Gaouette?" and the "Benghazi CBA"
New organization of former US Special Ops officers issues distress calls about urgent high-profile questions. "SOS" is a naval emergency distress call meaning "Save our Ship", but at the CPAC, (Conservative Political Action Committee) convention, "SOS" stands for SpecialOperationsSpeaks.com, a new organization of former US Special Ops officers who are issuing distress calls about urgent high-profile questions, and critical unanswered mysteries about the 2012 Obama Benghazi debacle. CAPT Larry Bailey, USN (Ret. ), a former senior SEAL commander and co-founder of Special Operation Speaks, demands to know, "Where the heck is Admiral Gaouette?" ADM Gaouette was the commander of the USS Stennis Carrier Strike Group on station in the Persian Gulf area who was mysteriously summarily stripped of his command during the attack in Benghazi, Libya, in which Ambassador Chris Stevens and three other Americans were murdered. Several days afterward, it was reported that ADM Gaouette was summarily relieved of his command during a major operational contingency event during the Benghazi attacks for the alleged claim of "inappropriate leadership judgment." ADM Gaouette's detention and total disappearance weeks before the November 2012 presidential election was a story that CAPT Bailey says "disappeared into a black hole of silence." CAPT Bailey, as a "Brother-in-the-Navy" of ADM Gaouette, has some urgent and vital questions: Where is ADM Gaouette now, and where has he been for over 4 months? Why hasn't Congress called ADM Gaouette to testify about the 2012 Benghazi fiasco, when he clearly was a key operational senior commander in-theater? If ADM Gaouette is under some type of detention, what does "inappropriate leadership judgment" mean, what is he specifically charged with, and does he have proper legal counsel? CAPT Bailey urges anyone who heard or saw anything, or has even the smallest most innocuous piece of the puzzle, to tell them what that piece is. He says, "The more questions SOS asks, the bigger the black hole of silence becomes." Col. Brauer explains that an insertion of any US forces into Benghazi, Libya, or across any international border into a country where US forces were not deployed, would have required a special US Presidential CBA authorization to be issued. So, in effect, Obama's telling Secretary Panetta to "Do whatever you gotta do" without simultaneously issuing a specific CBA enabling such action is like "telling a fire station to extinguish a 5-alarm blaze while the firemen were not legally allowed to even leave the fire house, go to the fire, or douse the burning building." So, Col. Brauer's point is that President Obama may have known that verbally telling Secretary Panetta to "do whatever you gotta do" without his also issuing the legally necessary CBA was "passively ordering USSECDEF Panetta to ‘do nothing.’"
Col. Brauer says his group is considering filing a Freedom of Information Act (FOIA) request for all the documents and emails surrounding the ADM Gaouette and "missing" CBA questions. Stay tuned; these soldier sailors have never left a man in the field, and they will never leave Admiral Gaouette in the field. 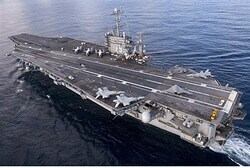 They see the Admiral as a "man down," and are doing everything they can to help a fellow sailor who may be in trouble.